Best Movie: Live Free or Die Hard or The Bourne Ultimatum? Discussion in 'TV & Media' started by Assembled18, Feb 5, 2019. Which both movies the best? Comment or vote that which both 2007 action movie is the best? Absolutely no competition - Bourne by a mile. I remember seeing both in the cinema the same summer. My first daughter was born in May and those were the first 2 films my wife and I got out to see afterwards. I’d been a DH fan since I was about 17 but was disappointed in LFODH. Good enough plot but Willis phoned it in, the writers turned McClane into a fearless deadpan superhero instead of the vulnerable wisecracker of the original and Les Wiseman’s direction was pedestrian. I remember watching the scene in Washington where McClane stands on the roof of the car watching the chaos unfold, thinking that John McTiernan would’ve made so much more of this. 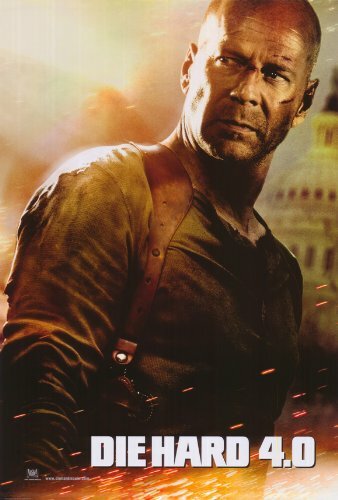 The best I can say is that it’s better than A Good Day to Die Hard. TBU was a brilliant conclusion to the trilogy, keeping up the smart script and amazing action of the previous two and wrapping up most of the loose ends. Not even close. 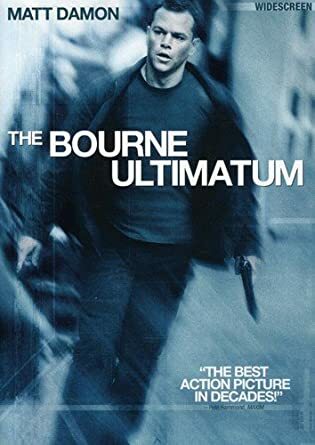 Bourne Ultimatum is a good movie, and Die Hard 4 is awful. Bourne Ultimatum. Die Hard 4 was often unintentionally funny but not nearly as enjoyable. My favorite 2007 action flick was Hot Fuzz. Die Hard 4.0 for me easily. Shame the 5th wasn’t good.